Farrow & Ball RAL colours. Order today, nationwide delivery. Add a stunning feature to your property with a set of our premium, aluminium folding doors. Unobtrusive, concealed hinges and joints, door sets can span up to 15 meters in width, 3 meters in height. We manufacture doors to your exact specification with sets up to 16 leafs in total. 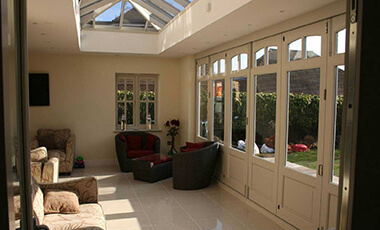 Our folding doors can open inwards or outwards depending on hinge configuration. We only use the finest aluminium in our manufacturing process. Customise your aluminium bifold doors any way you want, choose from hundreds of stunning colours & door styles. There’s a reason why so many people buy our products, exceptional quality, low prices. Our aluminium bifold doors are perfect for homes where space is limited, or for homes where elegance and a contemporary feel are vital. Though timber bifold doors look really stunning with a real age and style to them, they do need a lot of maintenance to keep up their good looks! Aluminium bifold doors need next to no preservation and the properties of aluminium mean it doesn’t experience the expansion and distortion that can distress timber. What’s more, aluminium bifold doors provide much better sightlines with slimmer frames and can also cover wider/higher spaces. So, if you’re considering doing some home improvement, why not upgrade the exterior of your property with the inclusion of our aluminium sliding doors? Add an instant stunning feature to your home with a set of our premium, aluminium folding doors, and marvel at their thermal efficiency as well as the craftsmanship that created them. Unlike uPVC or timber bifolds, aluminium is a superior material for bifold doors, and has a much longer lifespan than either of the other materials. What’s more, aluminium doesn’t involve as much maintenance. These aluminium bifold doors are unobtrusive, with concealed hinges and joints and the door sets can span up to 15 metres in width, 3 metres in height. Below, we’ve pulled together some of the benefits of these door types, including the facts they’re environmentally friendly, easy to maintain, strong and durable. Why Should I Buy Bi Fold Doors? Exterior aluminium folding doors are a great solution if you want to create a sophisticated and open plan living area that lets in more light, has better air flow, better thermal efficiency (when doors are closed to trap heat) and more. Our aluminium bifold doors are perfect for homes where space is limited, or for homes where elegance and a contemporary feel are vital. 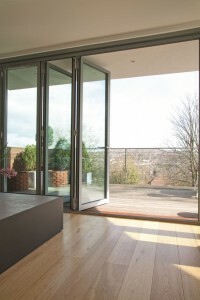 We manufacture the aluminium sliding doors to your exact specification, we provide aluminium bifold doors trade too. All of our sliding patio doors come with double glazing and an enhanced locking system as standard, but best of all, they are all energy efficient too. 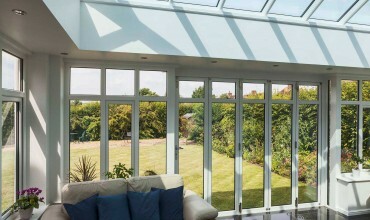 One of the real plusses of aluminium bifold doors is the fact that this material is extremely environmentally friendly. In fact, recycling aluminium saves up to 95% of the energy needed to produce it from raw materials. And even when it’s constantly recycled, there’s no compromise on aluminium’s quality or performance benefits. Recycled aluminium uses only 5% of the total energy used to manufacture it from raw materials. This helps significantly cut its environmental impact. Throughout installation, production and the duration of its life, aluminium bifolds are effortless to maintain. The material won’t rust, distort or need a lick of paint, nor does it suffer from expansion problems in heat or cold. Aluminium is an incredibly resilient material and, therefore, can take more weight. In aluminium bifolds, the frame is less thick, yet it still has the strength required to bear the glass panes. Thinner frames mean more glass, and more glass means more natural light. The result? A brighter living space. 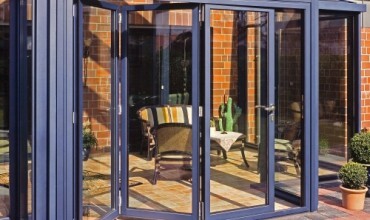 Aluminium bifold doors are mostly notorious for being easy to operate as well as reliable when in use. Our sliding patio doors also benefit from a top and bottom track consisting mainly of a silver anodised aluminium extrusion with solid timber cover trims for smooth running and easy operation. They can open outwards or inwards (multiple hinge configuration). Our aluminium sliding doors are renowned for their ease of operation and their reliability in service. They will add the WOW factor that you’ve always wanted to your home. With their smooth running, these sliding patio doors seamlessly merge your patio and garden into your home, extending your living space. For further information about our aluminium folding doors, visit the bifold specifications section on our site. 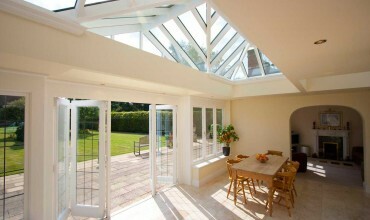 Aluminium bifolding doors have become far more popular over the last decade, especially with space at a growing premium. Many homes find that conventional doors (French doors) take up space when opened that could otherwise be utilised as additional living space. Aluminium bifolds solve this problem and are a popular choice for home builders, architects and property renovators. Many advanced new build developments now use aluminium bifold doors to save space and to increase a property’s value. Our aluminium bifolds can open inwards or outwards depending on the hinge configuration, and we provide the best hinges for bifold doors there are available. Our aluminium bifold doors can be created to your exact specifications and installed to open and stack inwards or outwards. 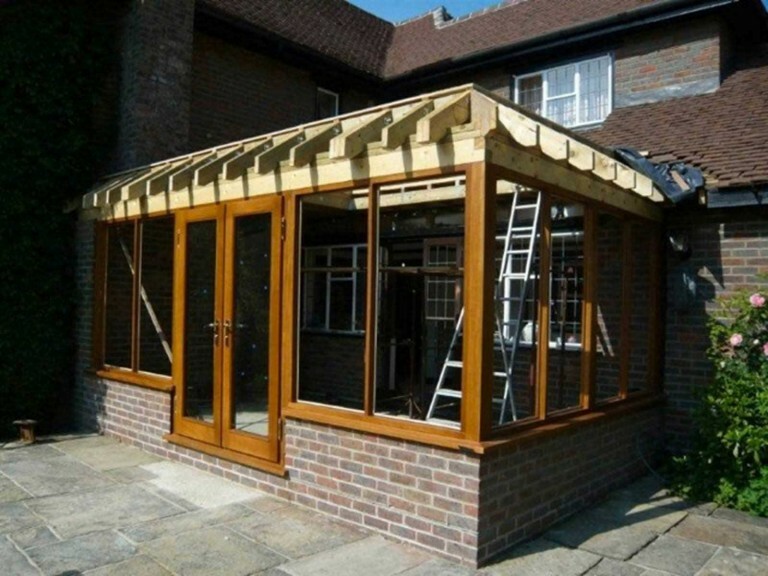 They work beautifully either way, but consider this: if the aluminium bifolds open out onto your patio or courtyard, they allow a smooth transition from your inside living space to your garden. If ever there were a sturdy material, it’d be aluminium. And because of this, these aluminium bifolding doors can be manufactured with slimmer frames and still be just as durable as timber frames. We only use the finest aluminium in our manufacturing process, meaning your aluminium sliding doors are guaranteed to last and with the glazing unit, they add instant glamour to the outside of your home. 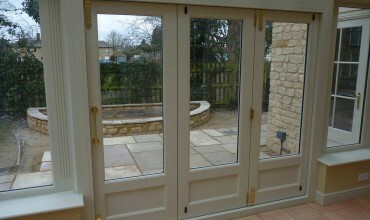 uPVC bifolds can occasionally discolour and timber will need to be repainted over the course of its lifetime. Aluminium, on the other hand, doesn’t fade, rust or peel once powder coated, giving it an enduring, striking finish. 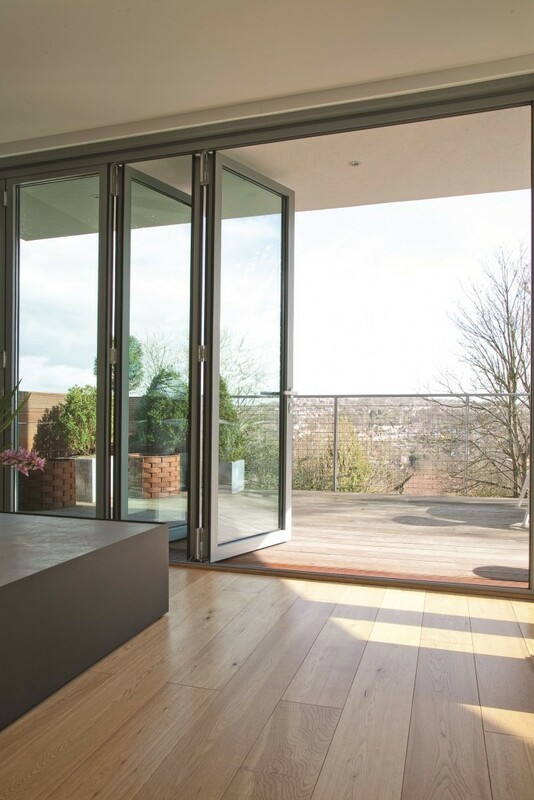 Our aluminium sliding doors can even be tinted to give a timber effect, so you can get all the natural attractiveness of timber, without the hassler of upkeep. Through years of research, development and testing, our system uses the finest selected gearing systems, mechanisms, fittings and gaskets to ensure that the sliding patio doors have the slimmest possible profiles and ensuring that they remain light weight, versatile and durable. With our aluminium bifold sliding doors, they will not only give up to 90% on clear openings, they are flush floor levels from inside to outside. Our range of aluminium bifold doors open up lots of possibilities for living space and for entertaining, as they’re a very aesthetically pleasing alternative to conventional sliding patio door types. 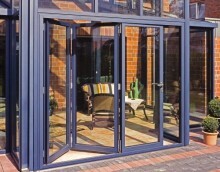 What Features Do Aluminium Bi-Fold Doors Have? Our aluminium sliding door system is top running. The rollers are in the top track so this means it’s less prone to dirt and debris collecting and is easier to keep clean. Therefore, the system will generally run smoother for longer. The weight of the aluminium bifolds hang from the top so an adequate lintel or other structural beam should be allowed for in the aperture. Our internal and external bifold doors offer unobtrusive concealed hinges and joints which allow the doors to stack up into the slimmest possible configuration when opened. Thanks to the strength and durability of the materials, the bifold doors can span up to 15 meters in width and 3 meters in height, making them suitable for commercial applications as well as domestic. The aluminium composition of our sliding patio doors also provides increased resistance to weathering and ageing of materials. 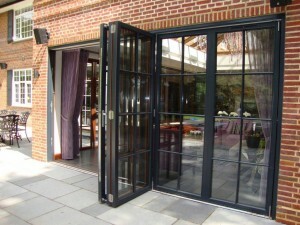 The bifold doors are designed to be long life and are also designed to maintain their appearance over time. The sliding patio doors come with a high security locking system as standard to provide the optimum security for your home. All of our aluminium sliding doors are supplied with double glazing units that ensures your aluminium bifolds are incredibly energy efficient improving your home’s overall thermal efficiency. 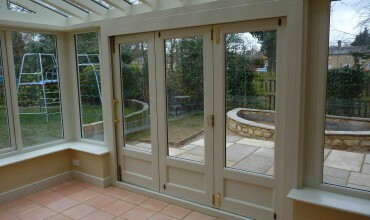 The hinges our sliding patio doors use are the best hinges for bifold doors. All hinge fixings are hidden when the aluminium bifold is closed, meaning they can’t be tampered with, adding to the security of the sliding doors. Picking the perfect aluminium bifold doors can be a tricky process, and discovering what our customers are saying about their doors can really help you choose the right bifold doors. Remember, these people have been exactly where you are at the moment, that’s why we have a whole section on our site answering commonly asked questions about aluminium bifold doors. 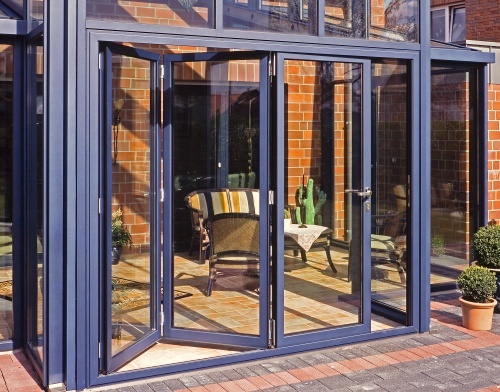 How about Aluminium vs Timber Bifold Doors? Aluminium bifold doors need next to no preservation and the properties of aluminium mean it doesn’t experience the expansion and distortion that can distress timber. What’s more, aluminium doors provide much better sightlines with slimmer frames and can also cover wider/higher spaces. Our aluminium bifold door prices start at £500. Panel costs start at £500 per panel. Doors with all the running gear and glass can start from £1300 for 2 panels, £1950 for 3 panels and so on. Please click on the prices tab above for a list of prices per panel / size. Customise your aluminium bifold doors any way you want; choose from hundreds of stunning colours & door styles. There’s a reason why so many people buy our sliding patio doors, but the main one is their exceptional quality and our low prices. If you’re concerned about the aluminium bifold door prices, don’t be, get in touch for a quote that will leave you wondering why you didn’t install sliding patio doors years ago. Our manufactured Bifold door prices start from £500, because of the amount of variables involved with bifolding doors, we usually provide a quotation based on your requirements. Prices for multiple panels vary starting from £1300 for 2 panels, £1950 for 3 and so forth. All doors are 2090mm high, however we can also produce doors at non standard sizes.